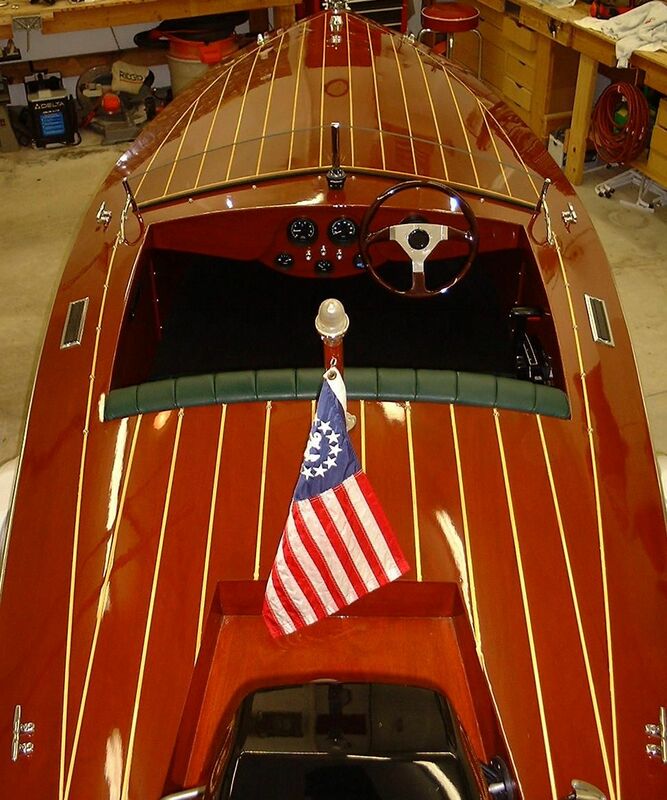 The Li'l Woodie is an awesome 15' hand-built, all Honduran Mahogany runabout boat. It's a Ken Bassett Rascal Runabout design. The building of the Li'l Woodie was completed in 2002. It was home-built. It has never leaked (not a drop) and does not need to be "pre-soaked" prior to use. It's a complete turn-key package ready for you and your family to enjoy! 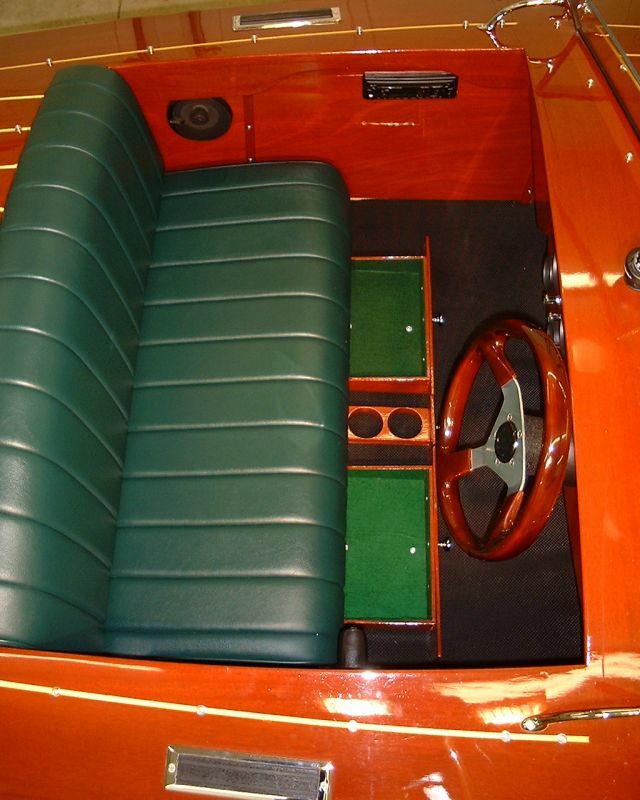 Includes: boat, motor, trailer, custom cockpit cover, custom storage cover...and a bunch of other stuff! 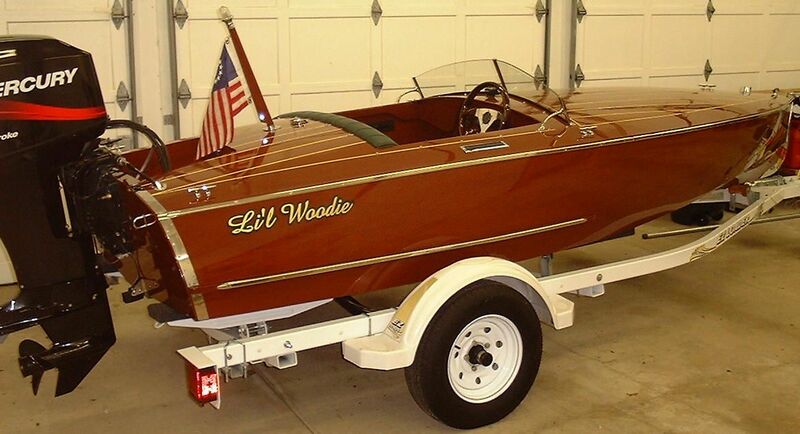 The Rascal Runabout design is known for its speed and agility on the water, and the Li'l Woodie is no exception. 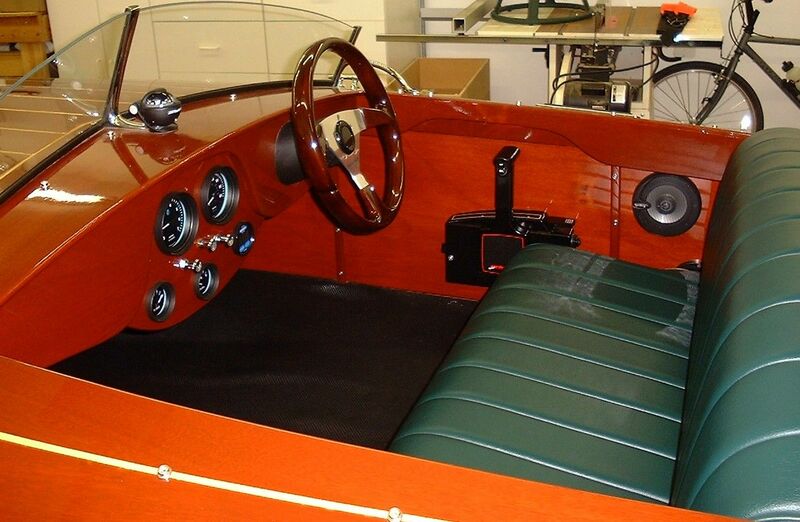 Referred to by the designer as the "Porsche" of boats, it's a two-seater sports car for the water. It's a blast to drive! It's gorgeous (OK...it's really hot!). It always attracts a crowd on the water or over the road. The Li'l Woodie is in excellent condition. It has been used sparingly since the build was complete. Usage has been about 10-12 hours a season...tops! 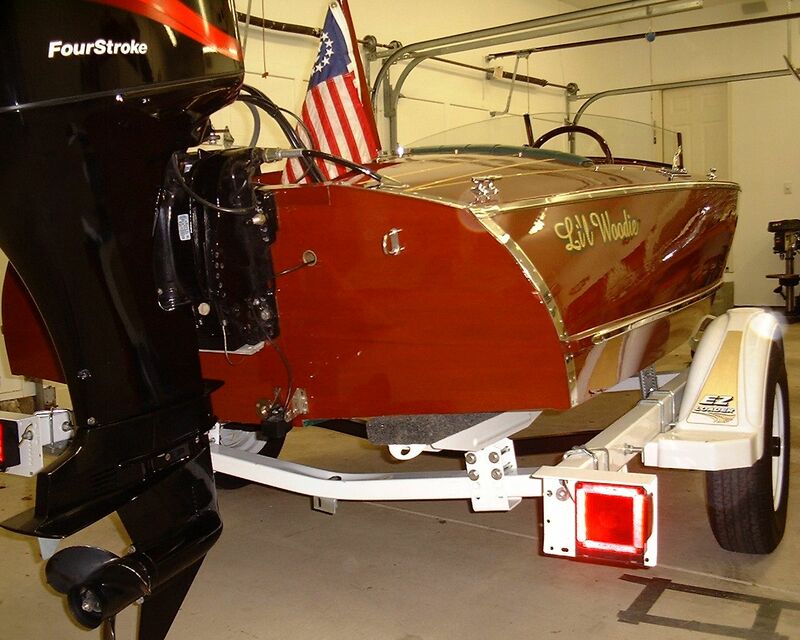 The boat has been used exclusively on beautiful Lake Minnetonka, which is a fresh-water lake located in the western suburbs of Minneapolis. The Li'l Woodie has never seen anything but fresh-water. During the short Minnesota summer, it's stored on a covered/enclosed lift. In the off-season, it's stored covered in a private, heated garage. The Li'l Woodie won "Best Home-Built" boat at the 2003 In-Water ACBS Mahogany Classic Boat Show in Red Wing, MN. • All Honduran Mahogany, except for part of the bottom towards the transom (that's what the design called for). The non-Mahogany part of the bottom is Okoume marine-greade plywood, painted with Interlux bottom paint. 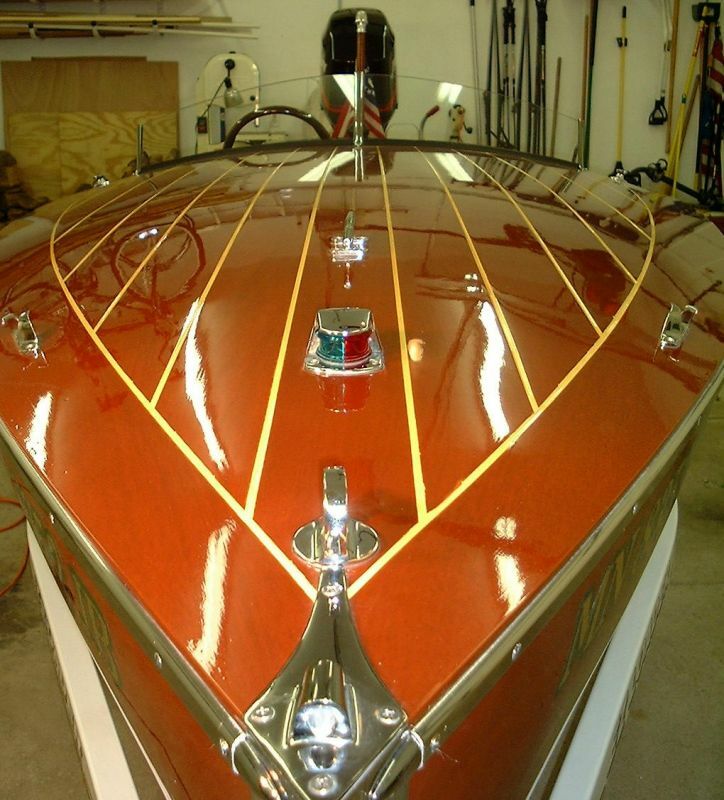 • 12 coats of Epiphanes varnish on hull, complete interior of hull and interior components. Was re-varnished about 5 years ago. • Green marine soft vinyl seats with automobile-type support - no hard bench seats on this bad-boy!! • Engine: 2002 Mercury 60hp, 4-stroke. It was purchased new...and still is like new. It has a total of about 140 hours. • The original fuel tank was changed from a fixed tank design to two-6 gallon, removable tanks for easy filling (and to make sure the gas is new and clean). • Manual bulge pump that has NEVER been used. Yes. . .it works but there has never been any water in the Li'l Woodie. WE WILL DELIVER THE BOAT in the Continental U.S. We would charge round trip mileage at $0.55 mile.